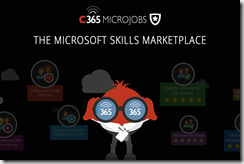 SharePoint_2013 – What Me Pa..Panic? I really enjoyed my time at the Dogfood Conference in Columbus last week. 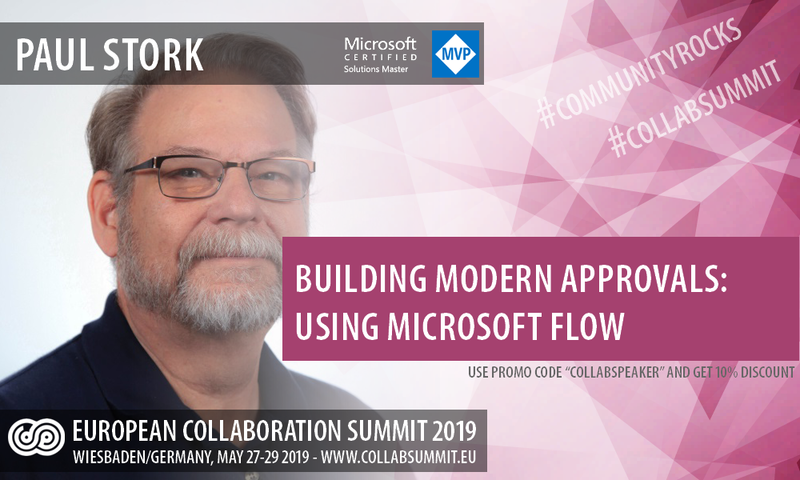 The attendees were great and all three of my talks were well received. I want to express my thanks to the conference organizers and the attendees for the wonderful conference. I really enjoyed myself this year and I hope to be invited back to speak again next year. 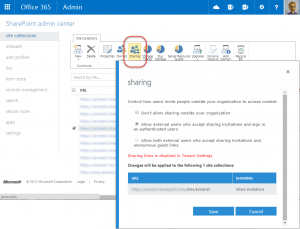 Part 1 – (This Post) A high level walk-through of how to configure external sharing starting with your O365 tenant and going down to an individual site collection. 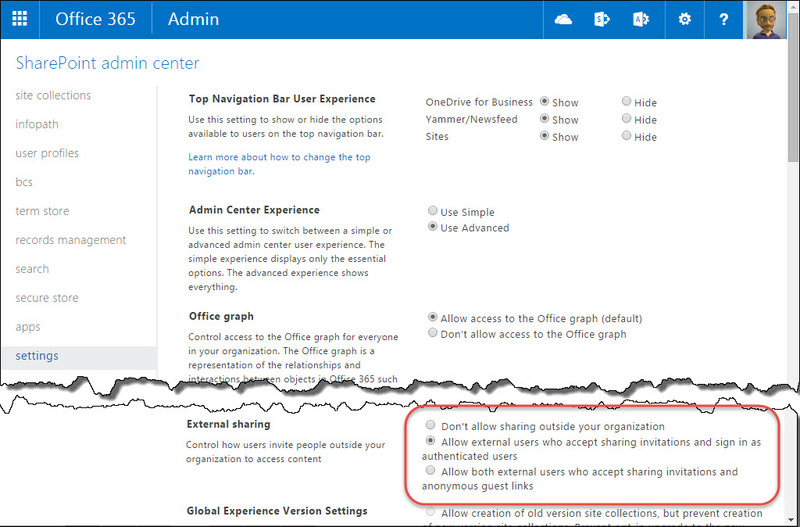 The Office 365 admin center has a specific tab for managing external sharing settings for you tenant. 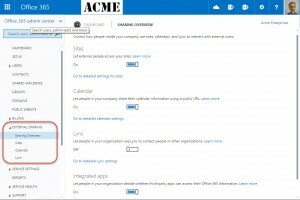 This post will focus on settings related to sharing SharePoint sites, but you can also control external sharing of Exchange calendars Lync, and the use of third party apps. 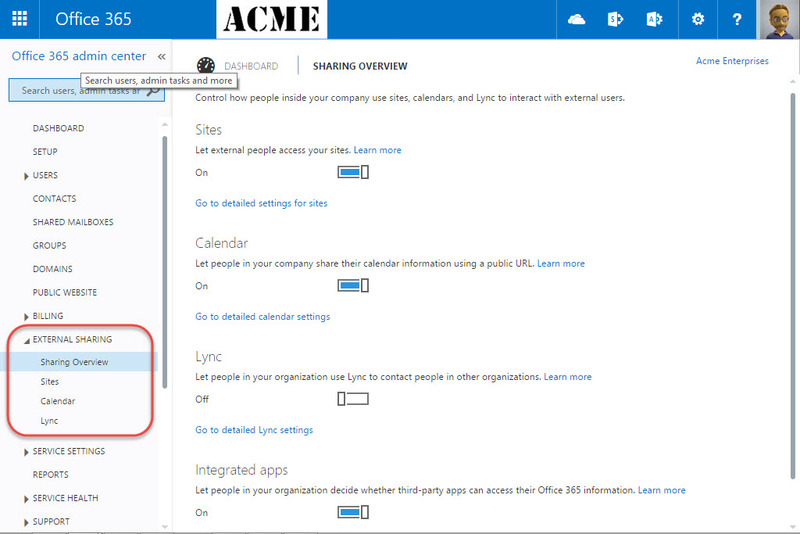 The Sharing Overview page provides On/Off toggles for whether external sharing is available in your tenant or not. The default settings are shown in the following screenshot. 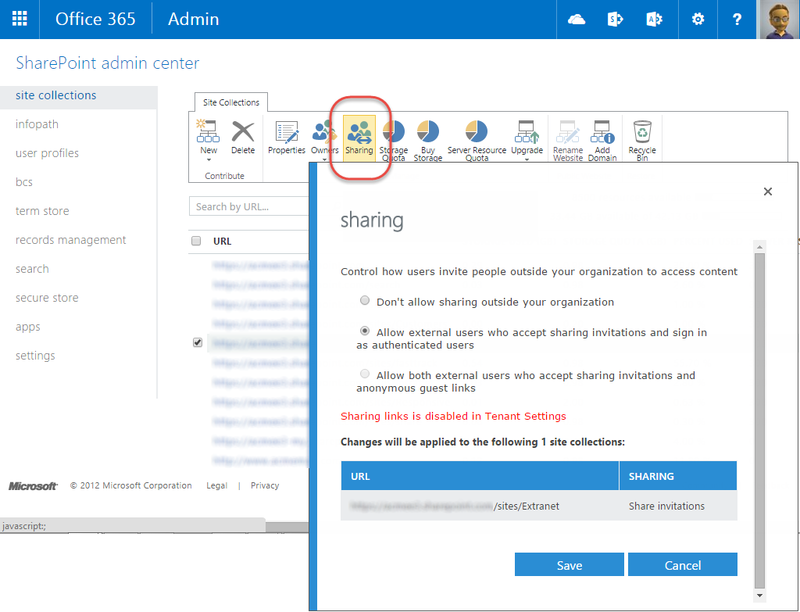 Selecting the Sites tab (or clicking on Go to detailed settings for sites) will take you to a screen where you can set tenant level defaults for external sharing and view the site collections where external sharing has been enabled. The tenant level default controls whether anonymous guest links can be used anywhere in the tenant or not. 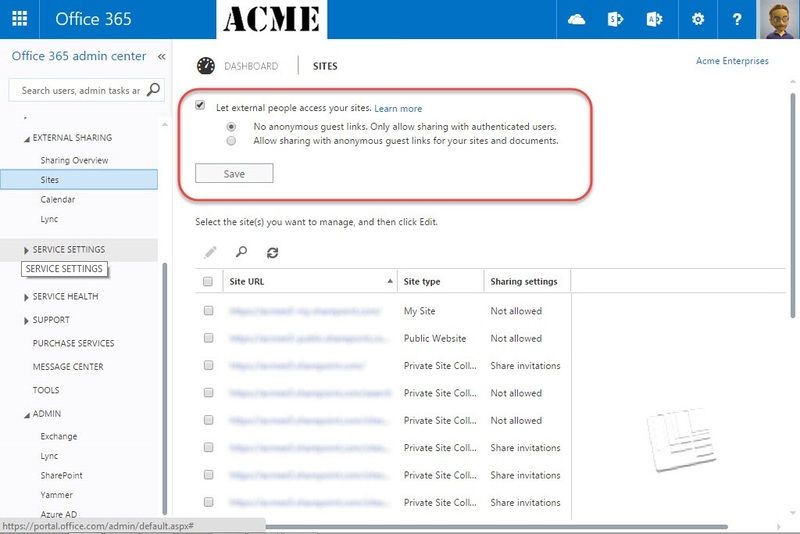 If Anonymous guest links are enabled in a site collection, users can send email invitations that contain links to individual documents which can then be accessed WITHOUT LOGGING IN to SharePoint. 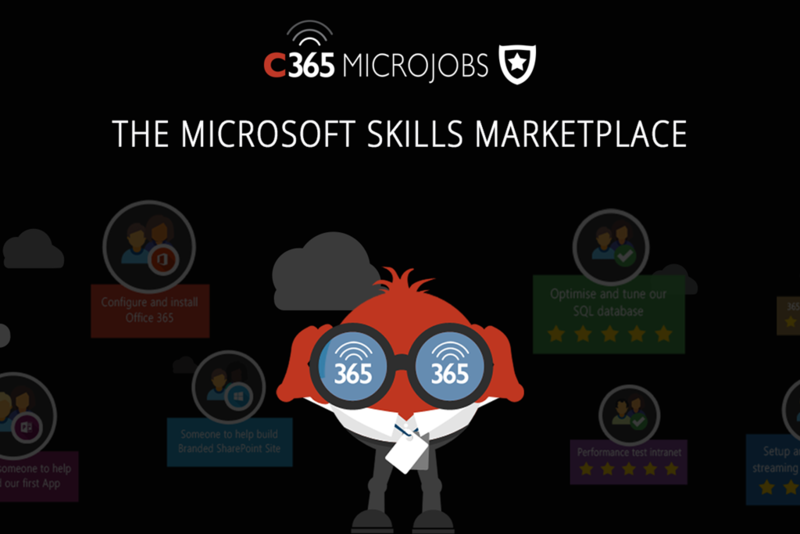 These links can be very dangerous if the original recipient shares the link since anyone can use the link to access the document. Now that External is configured your users can begin extending sharing invitations to external users and creating anonymous guest links. 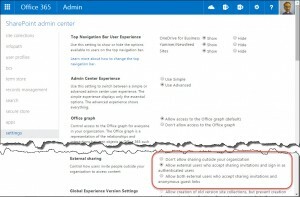 I’ll cover the process for sharing sites and documents with external users in Part 2 of this series. Part 2 coming soon!